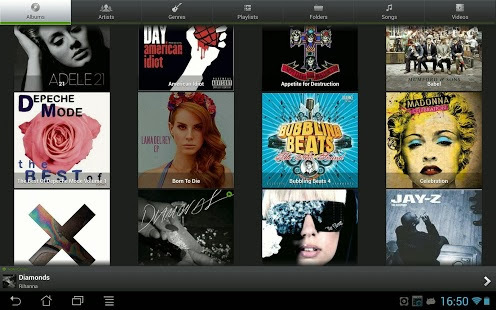 PlayerPro Music Player v4.5 build 161 – This application is an advanced music and video player for Android 2.x devices. PlayerPro has been in the top five android apps in the music & audio category for over two years and is actively being developed and supported. * Change the user interface of the Player by installing one of the 20+ available SKINS, all for FREE. * Dolby, SRS and Beats audio sound effects for HTC devices equipped with HTC sound enhancement. * SHARE text notifications, album/artist artwork on your favorite social networks: Twitter, Facebook, Gmail, Picasa etc.